Rumors are swirling that Google is entering the ride-share market despite already investing in Uber, the heavy-hitting ride-share company that's been getting loads of bad press lately. 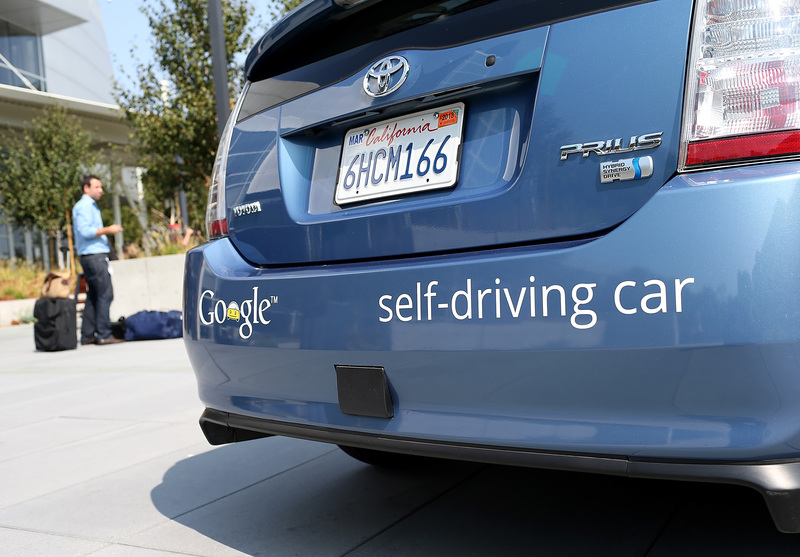 What's different about Google's potential foray into ride-sharing is that they're within a handful of years to releasing a self-driving car. Uber, however, is already attempting to catch up by hiring dozens of Carnegie Mellon and National Robotics Engineering Center scientists to look into similar technology. Google has neither confirmed nor denied the rumors, tweeting in response to Bloomberg's exclusive on the Uber-Google rift: "We think you'll find Uber and Lyft work quite well. We use them all the time." Google's felt especially strong about Uber for quite some time. During the summer of 2013, Google Ventures handed over its largest sum ever to the ride-sharing company. Google Ventures gave out 86 percent of its annual budget to Uber — $258 million — they were so confident in its success. They've since invested in an additional round of fundraising and Google's Chief Legal Officer and Senior Vice President of Corporate Development David Drummond soon joined Uber's board of directors. I love [self-driving cars] all day long. The Uber experience is expensive because it’s not just the car but the other dude in the car. When there’s no other dude in the car, the cost [of taking an Uber] gets cheaper than owning a vehicle. Perhaps the most fatal blow to Uber if Google were indeed to start their own ride-share company is the fact that Google's been incredibly generous with their maps services. It's a two-way street, of course. Uber gains access to industry-leading maps for its drivers and passengers to peruse, and Google stands to get loads of data regarding passenger habits and frequent routes. Were Google to go it alone, Uber might be left without any map service at all. Images: Getty Images (2)It's unclear whether Google is ready to move forward with ride-sharing, and no mention has been made by Drummond as to whether or not he'll stay on Uber's board of directors, a definite conflict of interest if ever there was one. For now, Uber's got more than enough to handle with its new Pittsburgh research facility, the purpose of which is to create the driver-less car of Kalanick and co.'s dreams.